Walk through any of Toronto’s major neighbourhoods, and you’re likely to see advertisements for upcoming street festivals or a new mural being put up. If you look really closely, in the small print you’ll likely notice that the initiative was funded, supported, or run by the neighbourhood’s local Business Improvement Area (BIA). Often sitting in the background, BIAs help improve conditions for businesses in their community. In Cabbagetown, or along the Eglinton Corridor, the BIAs act and react alongside changing communities, helping local businesses update, and evolve. Toronto West, which encompasses the Parkdale, Liberty Village, and West Queen West neighbourhoods, might be changing faster than any other part of the city. As Toronto tech continues to refurbish, fill, and flourish inside the city’s old factory buildings, the integration of companies like Shopify alongside mom-and-pop shops creates a unique challenge for BIAs. In partnership with Digital Main Street, BetaKit spoke with BIAs and businesses in Toronto West about how their communities are growing and changing. For the ‘campus-style’ neighbourhood of Liberty Village, the BIA is focused on building a strong sense of community. Whether that’s graffiti removal, street cleaning, or developing murals, the BIA does a lot of work in the background to make Liberty Village a pleasant place to live, work, and play. 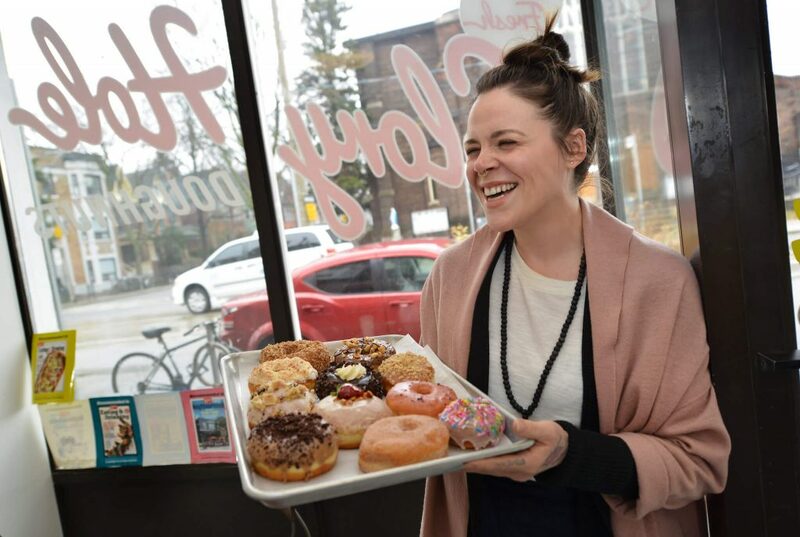 Liberty Village BIA executive director Deborah Thompson said that creating that pleasant trifecta is the first step to helping local businesses thrive. The next step is achieved through education and networking opportunities. The Liberty Village BIA offers networking and educational events for local entrepreneurs, but also advocates on behalf of businesses directly within Toronto city council, pushing for top-of-mind requests like better transit infrastructure, or ensuring Liberty Village’s small businesses get noticed by politicians. Given Liberty Village’s up-and-coming status as the west end tech hub of Toronto, the BIA is also aware of how technology can be used to grow the community. 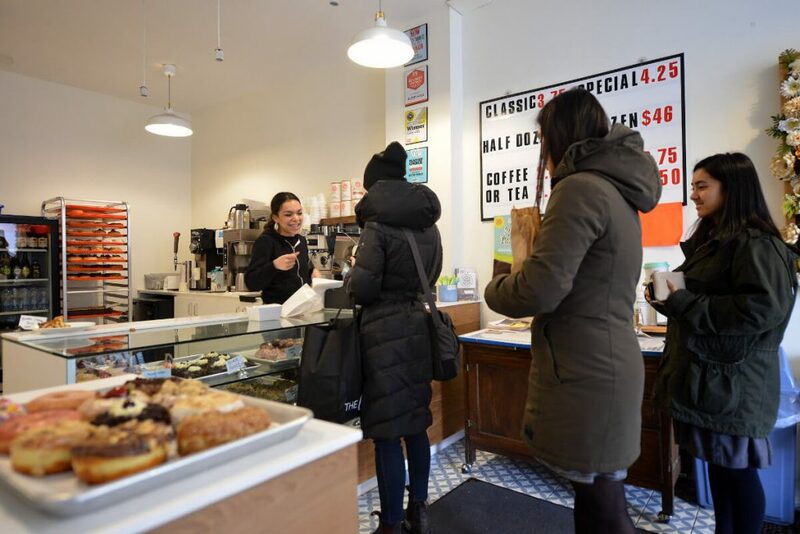 While Liberty Village is a tech hub containing many other small businesses with varying needs, Parkdale has a vocal community of small businesses that let its BIA know exactly what they need. Bartula said that catering to each community’s unique priorities is crucial to helping local businesses thrive. Even as Parkdale changes, it won’t cave to becoming a copy of other communities in the city. For Bartula, this steadfastness is a positive thing, and has led to the Parkdale BIA shifting traditional activities like street festivals to be more locally-focused and inclusive — for instance, by not charging local businesses to participate the way some other communities do. The Toronto West BIAs also take a community feedback-based approach to how they recommend technology to local businesses. Bartula said that many businesses feel either overwhelmed by the amount of tech available or that they have to do things a certain way because other businesses in their industry do it that way. Working with Digital Main Street, the BIAs help local businesses wade through the ever-growing technology stack to find what’s right for them. This was exactly the approach that Glory Hole Doughnuts in Parkdale took. The bakery found that Instagram was, in fact, the best channel for it to bring customers in. On top of education, Bartula mentioned that many businesses either simply don’t have time or have tried, failed, and feel uncomfortable investing more time in tech because of that failure. 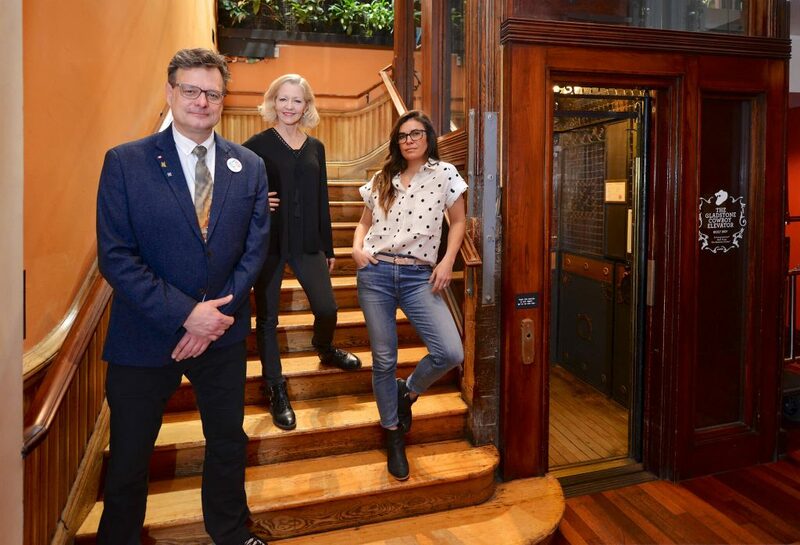 With these businesses, Bartula said the BIA’s partnership with Digital Main Street – Parkdale was one of the original pilot communities – became about understanding unique small business challenges. “It isn’t about teaching them they have to do this 24/7, but getting them open enough to explore what version of digital they can incorporate into their day-to-day lives,” she said. As Digital Main Street expands its program across Ontario, success will come from BIAs who can support the particular qualities that make their communities unique. Photo collection by Odyssey Photography & Video Production.